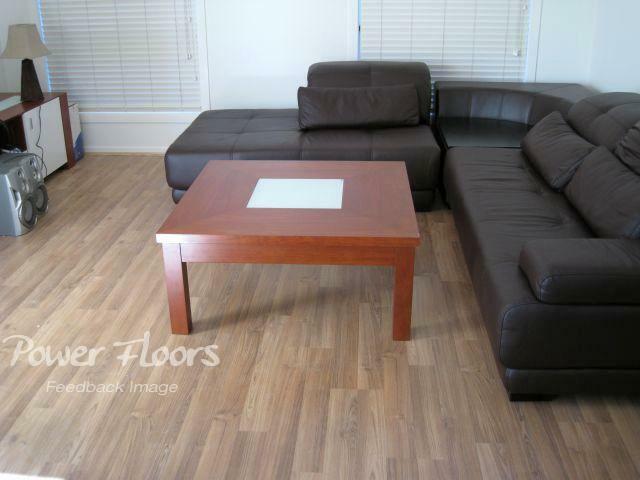 I'm absolutely delighted with my floor and the service. The guys on site were fantastic, the workmanship excellent and the site was left very tidy. The whole process was handled in a very professional manner and was hassle free. I'm happy to recommend you. 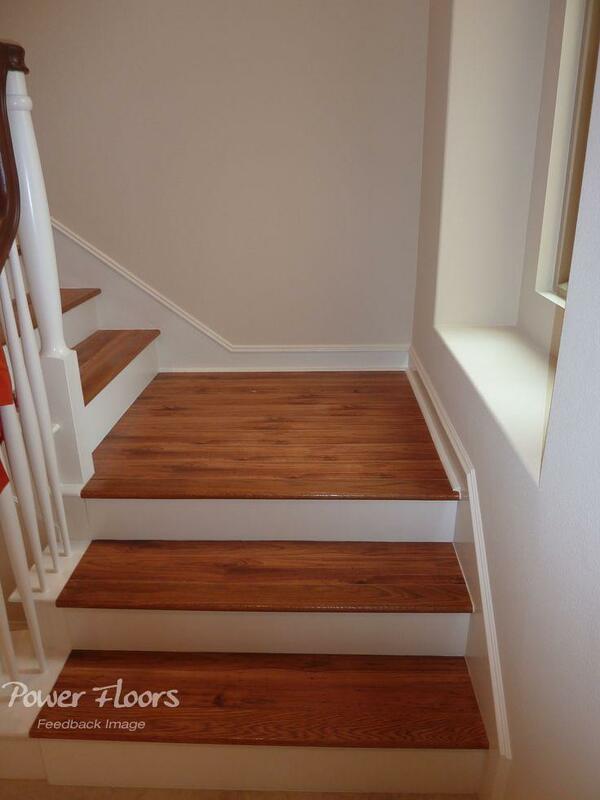 The work was done in one day, the crew was very professional and my stairs look beautiful, I will highly recommend them. Friendly and prompt customer service. Clean work and impressive finishing. I referred Mick to 5 of my friends. They are happy with their work. 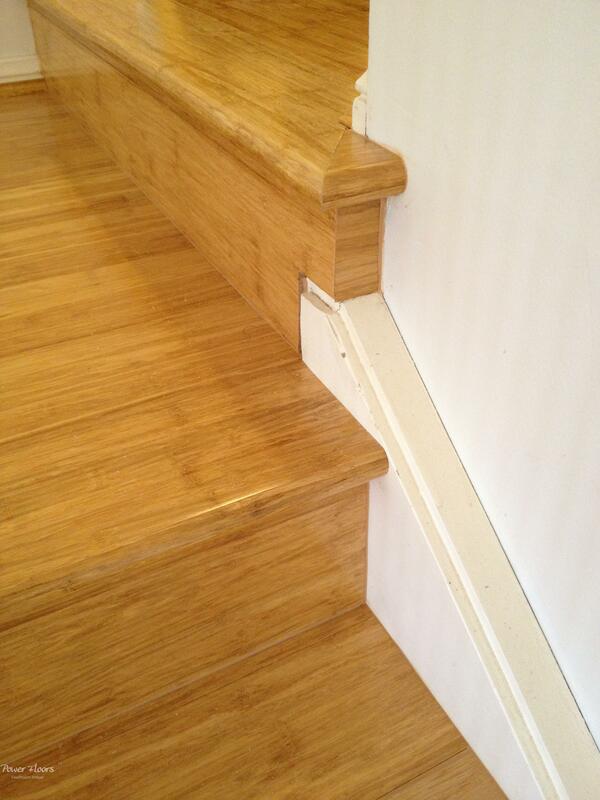 The staff were really helpful and knowledgeable and helped us choose the right finish. They also gave us lots of advice on how to look after our floor. 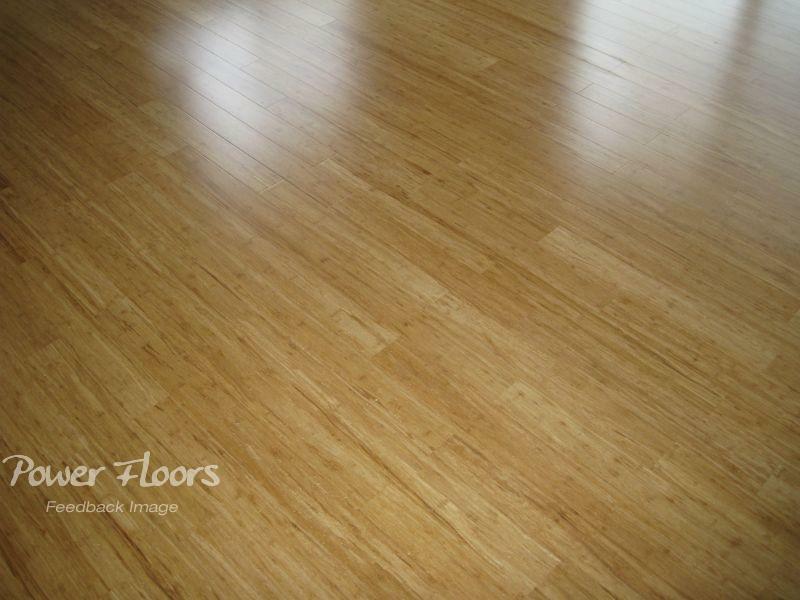 The modern finish of our new floor is simply outsanding, it's just what we're after. The quality of the installation is certainly something we'd be proud to show to all our friends and relations. I was very happy with Power Floors. 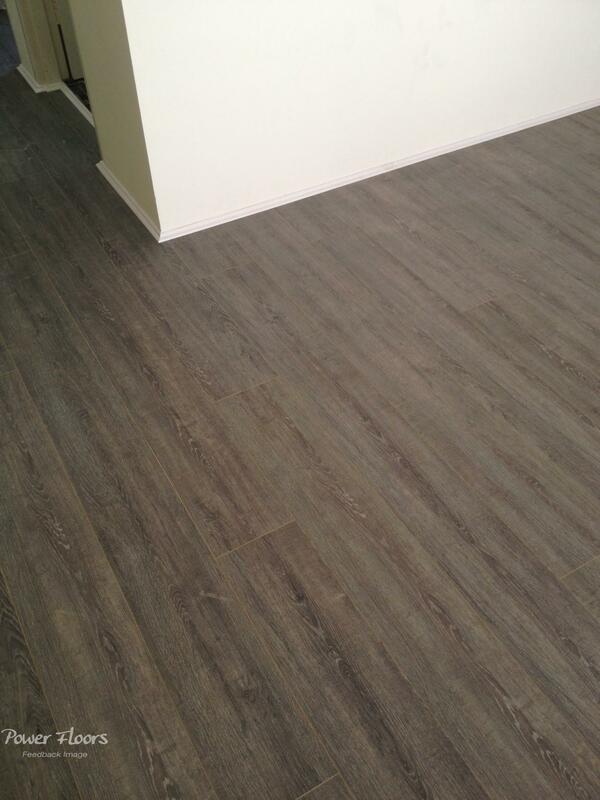 Their product is excellent and service was very professional.I will be happy to have Michael and his team do any future flooring for me. Reasonable price, friendly and efficient by both phone and email. We've just made a further order for another room. Power floors were fantatsic to deal with! Excellent service from the moment we walked into the showroom. They were very helpful and know their product very well. The installation was fabulous! Very precise and their finishings were perfect. The place was left spotless! 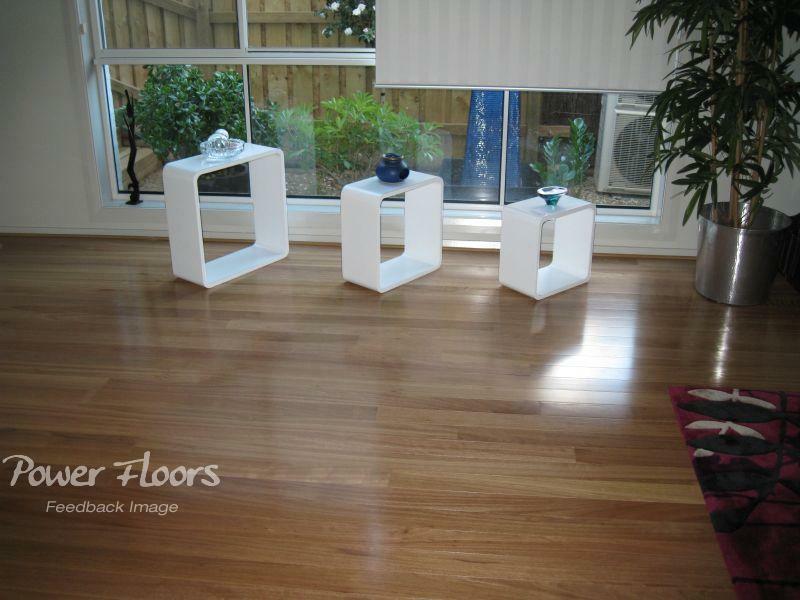 Overall we were extremely happy with Power Floors and would recommend them 100%. Very helpful, caring and personal service. We're thrilled with the workmanship. 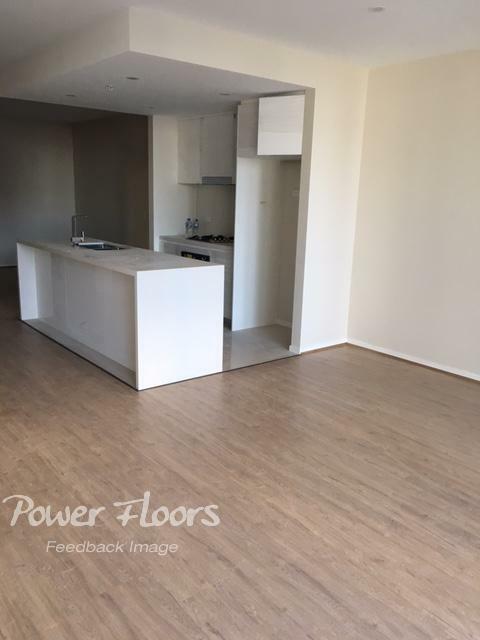 My experience with Power Floors was very positive... Michael and his team managed their job on time and did it with a professional approach. We can't believe how amazing this 'Hickory' flooring end up looking, it's laminate floor in 12mm but mum thought it was solid timber! Excellent purchase. Impressed at your comprehensive floor selections. I'd recommend you to my family and friends. Cheers. 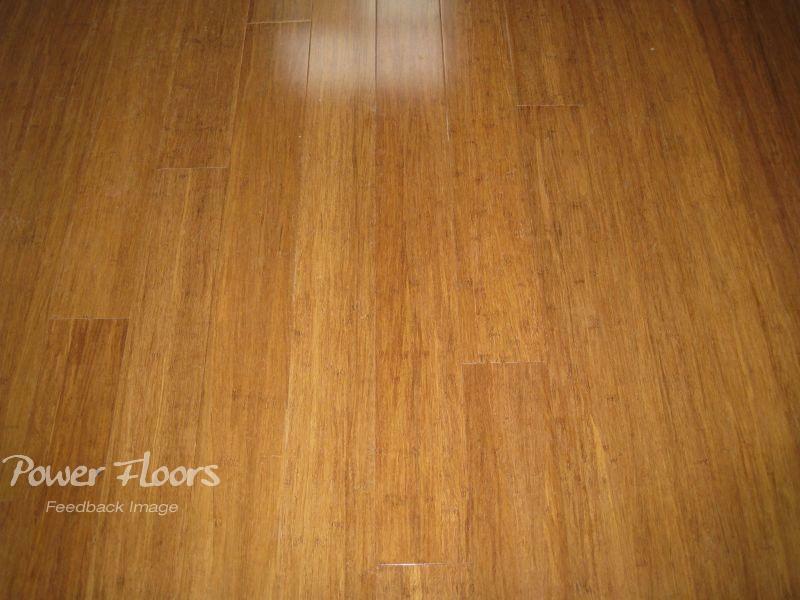 We ordered the 90m2 strand woven carbonised bamboo flooring from you last month (we found you on the internet and then came in to your showroom in Strathfield South and got a good-size sample). The sales person was very helpful in organizing my order (including the delivery, our stuff sent by a professional freight company). 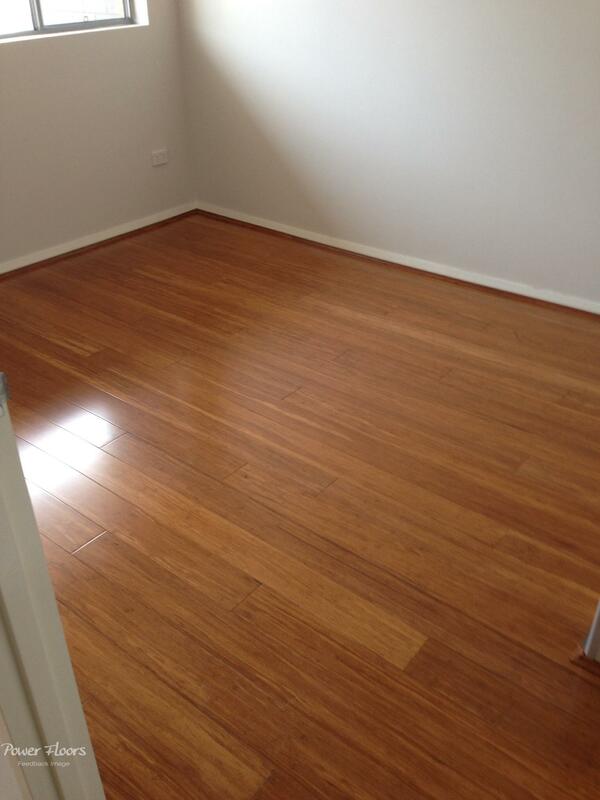 We installed the floor by ourselves, we'd never laid flooring before but it was very easy to put down. Delighted with the look and feel of the final result -- Just what we wanted. It’s not always easy to find professional customer service together with good bargain at the same time these days, but it shines through from your company. Thank you. Good evening replying to you better late than never, glad your amazing service is not like us:) We received our 1st order in 2 days. Had to place the 2nd order for stair nosings, required it on a particular date and received that well packaged. Never got fed up of us:) Flooring was easy to lay & turns great!! All round efficient and polite service with a fair price. We've just finished our whole renovation. 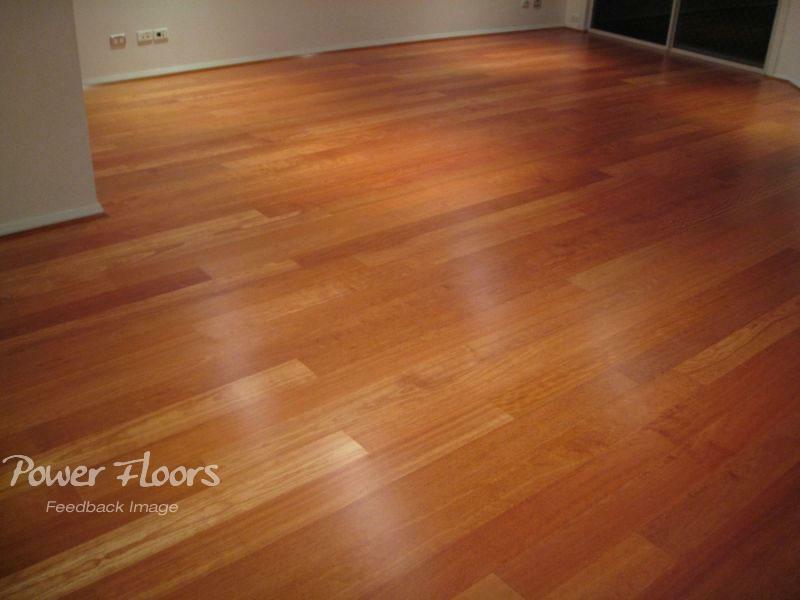 I would like to express my extreme gratitude for a recent transaction i had with your company for my timber flooring job. Your website was informative. Most importantly, your sales person went well above and beyond with her service. She had patiently answered our queries, then photographed the samples and e-mailed me, thus, enabling a better visual. She was exceptionally courteous - dare I say "sweet" - and prompt with her responses. This has been a perfect transaction. 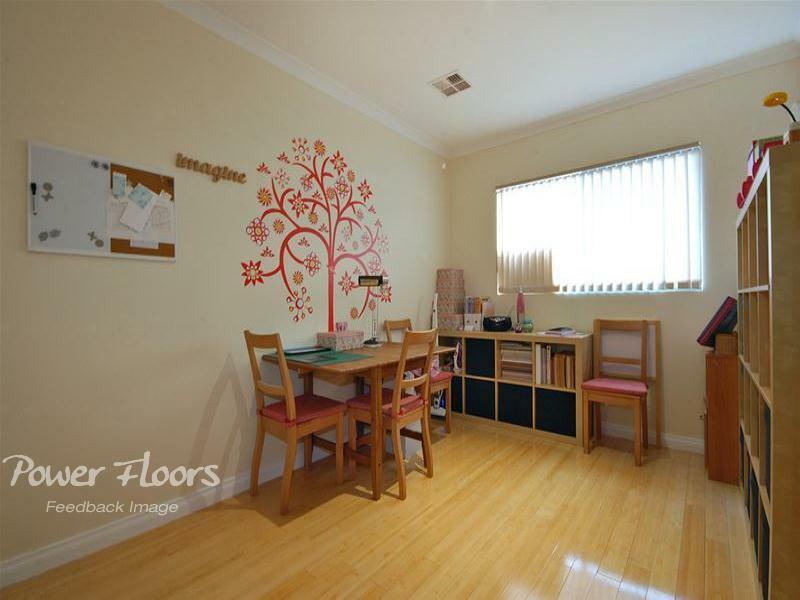 Happy with the floor and price. Great Place. 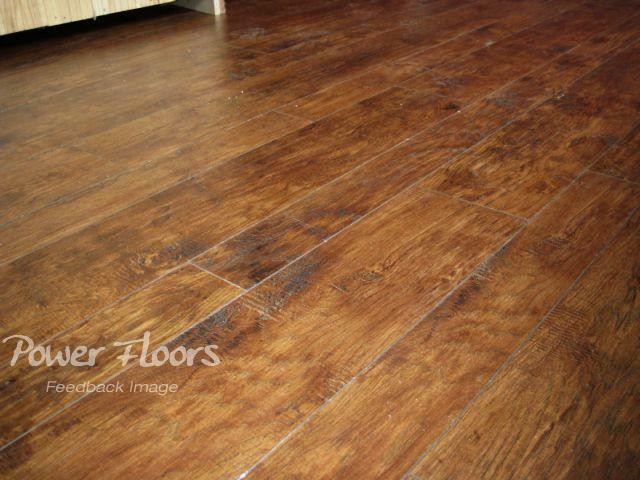 We found Power Floors to be a wonderful choice. 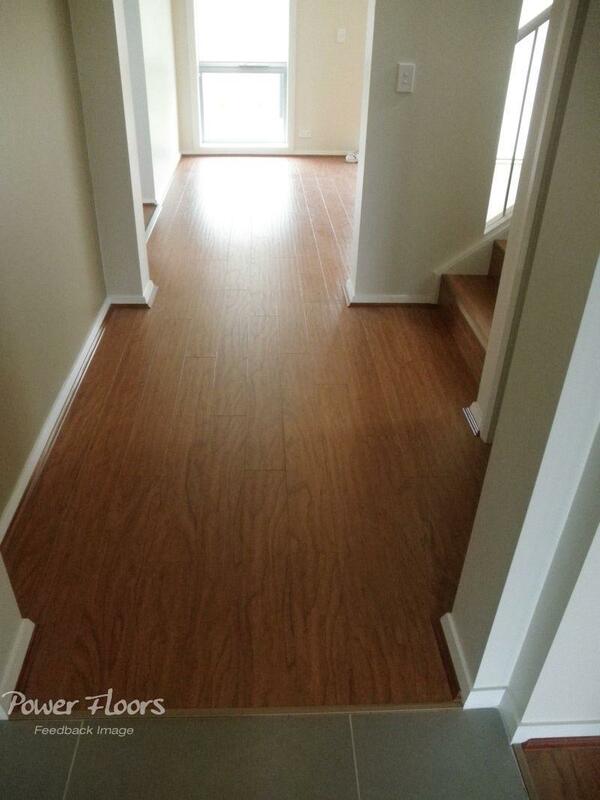 The hardworking and skilled team that laid our bamboo hardwood floors were excellent. They have our highest recommendation. Power Floors are just fabulous. The service from the beginning was very professional.The work carried out was extremely quick, efficient, friendly and above all great work. 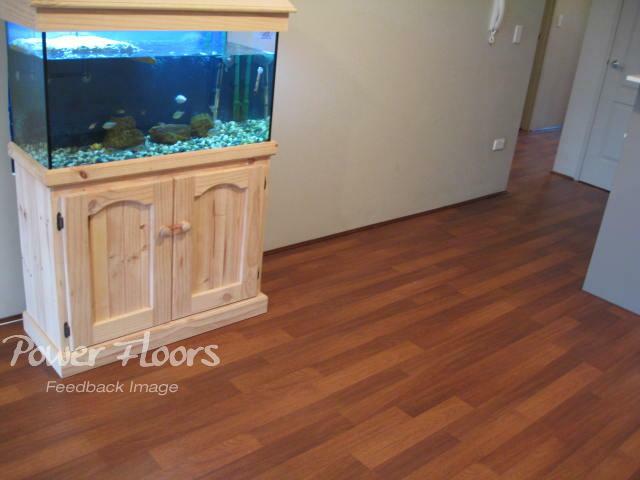 I used floating timber floors which look better than the real thing and I still have visitors and friends commenting how great my floors look. The selection was fantastic and was able to order my selection in the time-frame I wanted. 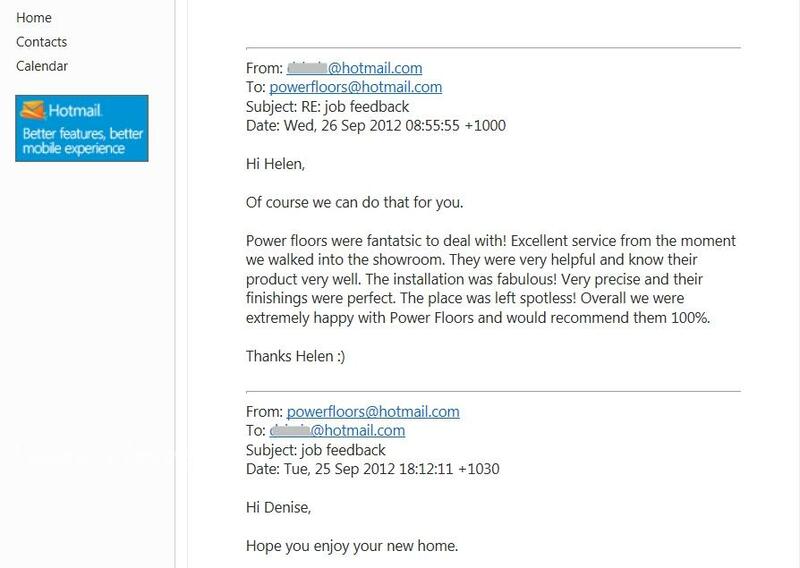 Highly recommend Power Floors both for selection, range and professionalism. 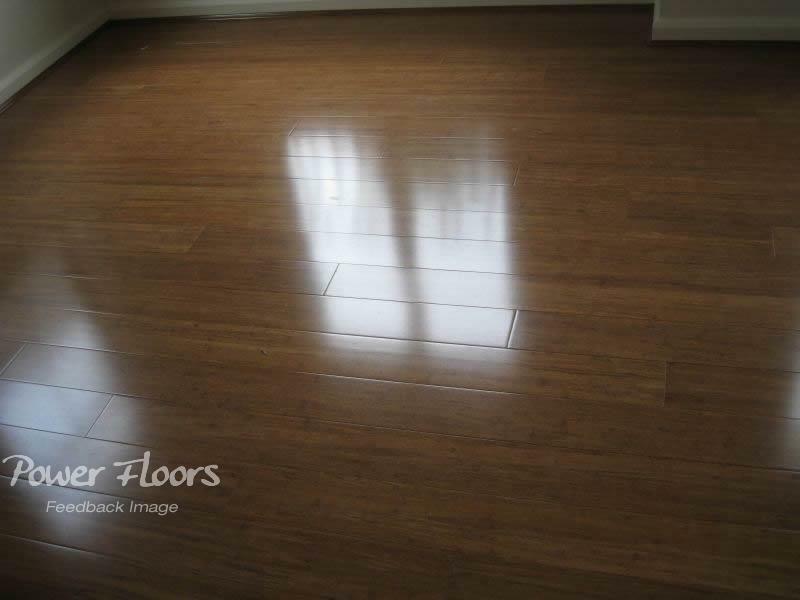 Michael and his installer staff (Sergio) of Power Floors did a fantastic job on the floor of my investment property. 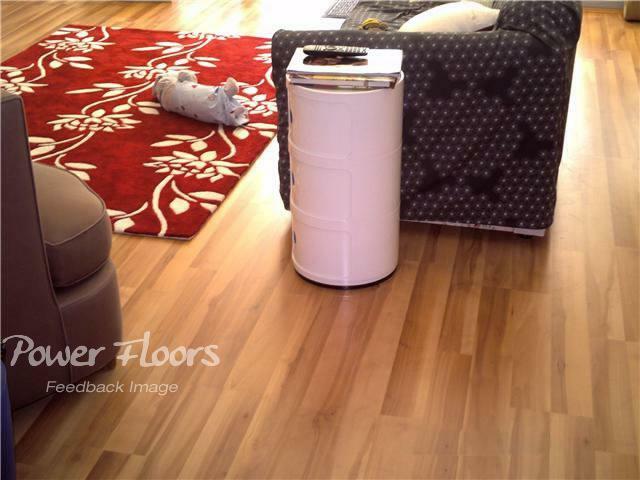 I can see how well it has transformed from the old and tired carpet to the bright and solid laminate timber floor. After the job was completed in very reasonable time the property was in the market and sold in under 2 weeks with the satisfying price as well. 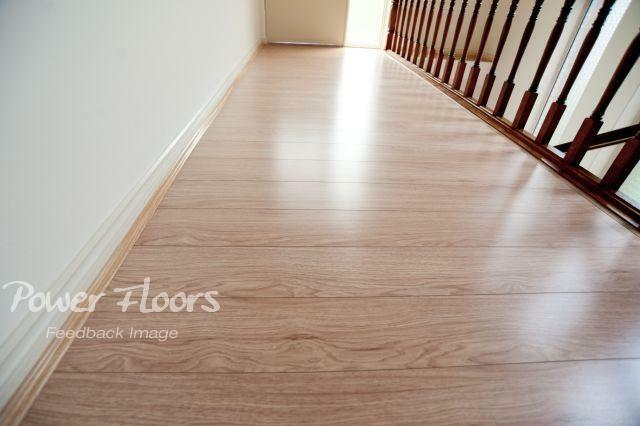 The advise and service I received during and after installing was appealing and definitely I will recommend their service to private or business wanting a professional laminate timber flooring job done." 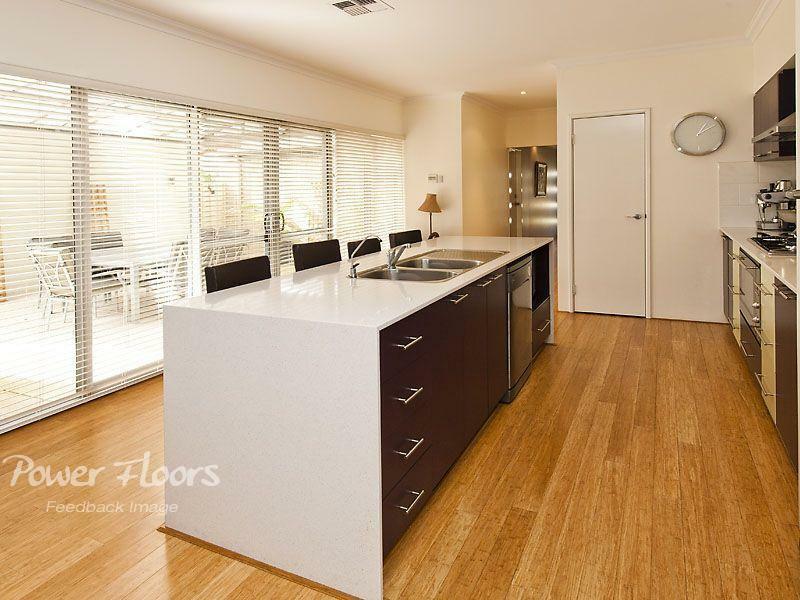 We removed carpet and replaced with timber floors (blackbutt, australian made) in 3 bedrooms, a large living area and a set of convoluted stairs. 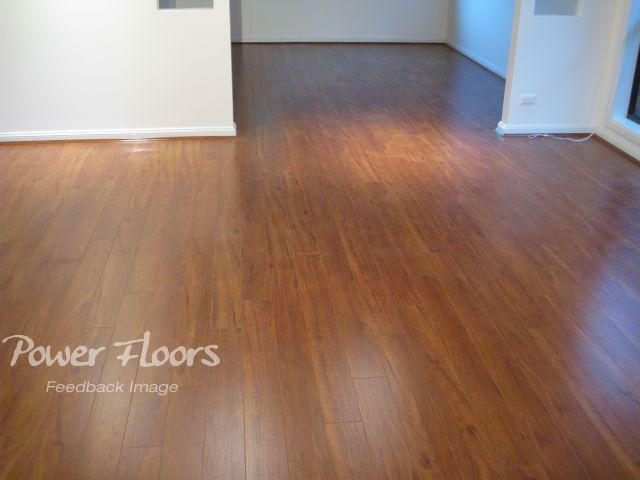 Power Floors supplied matching timber to our old existing floors and installed them in 2 days (including1 saturday- convenient for us). It was a big job and I was surprised that they completed the job so swiftly and efficiently. The crew was professional and paid attention to details. 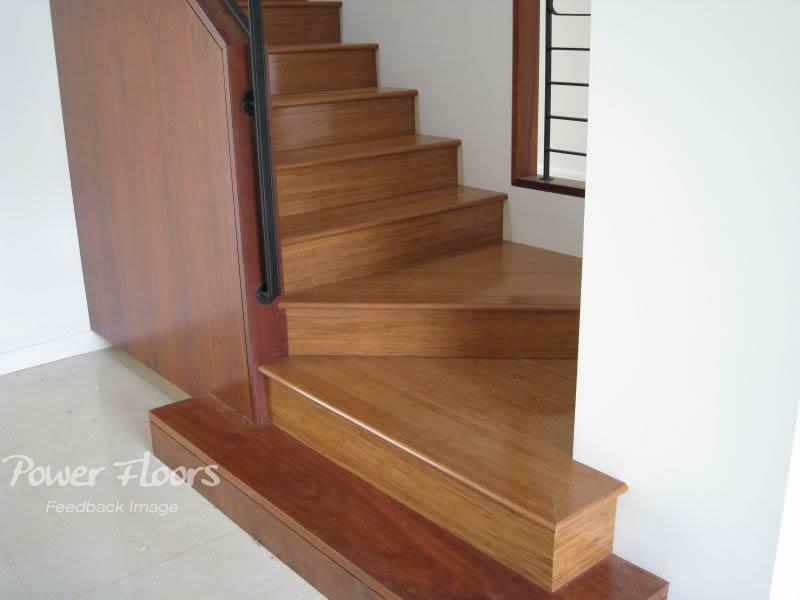 The stairs look great and the final result of the floors is fantastic. Above all, the cost was very competitive. We are very happy with their service, I would recommend them to anyone. 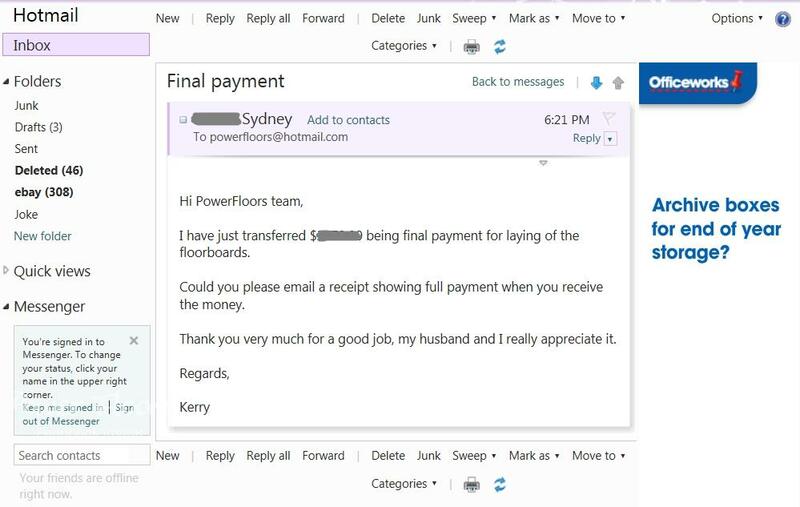 Power Floors is a very nice business to deal with. 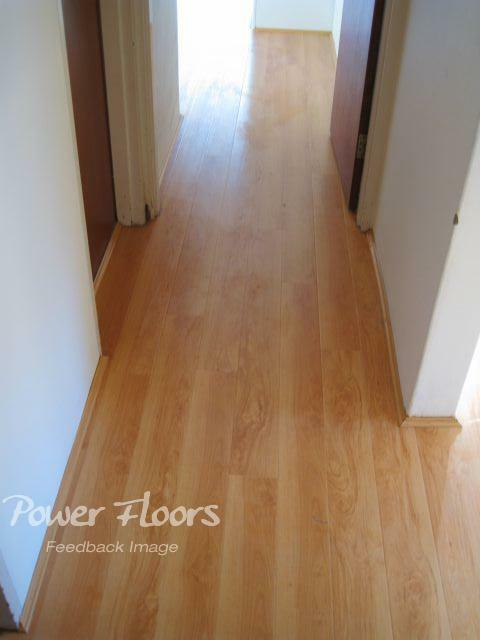 We have bought floorboards from them for two properties already - and they have done a great job in the installation. 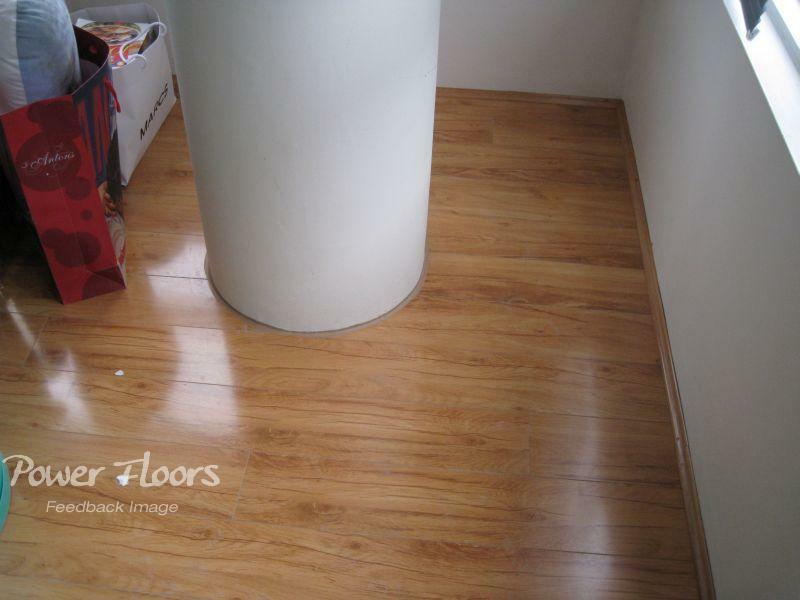 We found out about Power Floors as we were referred to them by a good friend. I am very happy with the job. It looks great and is finished off well. All involved were very easy to communicate with and very helpful. 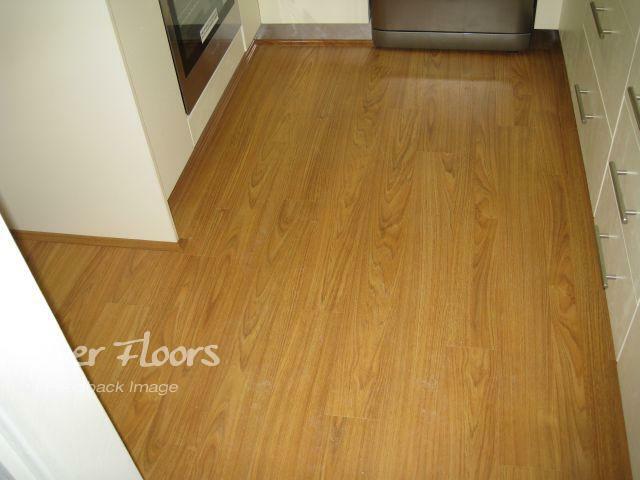 The floor was completed before the quoted date with no problems at all. I would highly recomend them to others. You guys have been extremely professional and pleasent to deal with. Thank you for the great service and the pleasant experience. We appreciated the clear advise and being kept informed about every step. Your trades people were friendly and reliable and the result is outstanding. Thanks PowerFloors. We are absolutely delighted with the final result and would like to compliment you and your team on the professional and efficient manner in which you carried out the work. We are only too happy to recommend you. The floors look fantastic. We're delighted with the result. Thanks to your installers' wonderful job, they've been excellent to deal with. 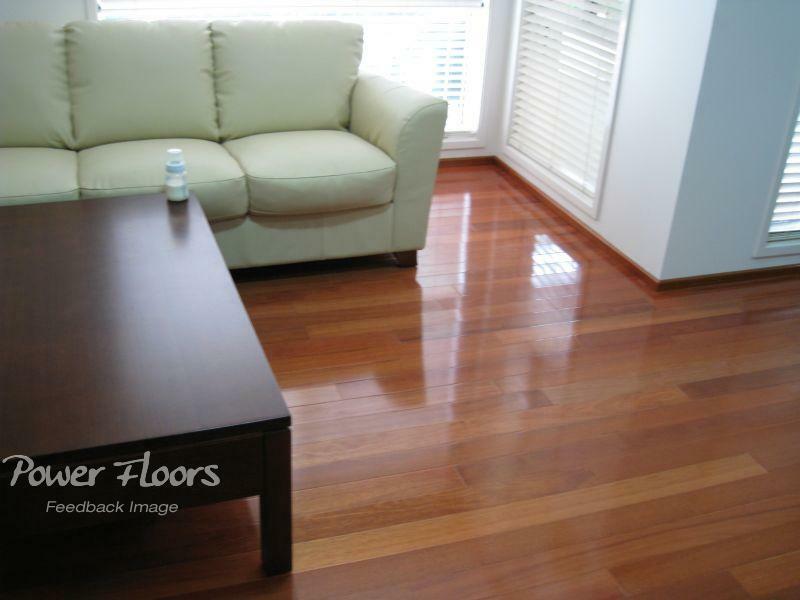 I've used powerfloors on several occasions and have been impressed with the service. From quote to installation, we've been informed about every aspect of the job... The guys on site have always been professional and helpful. 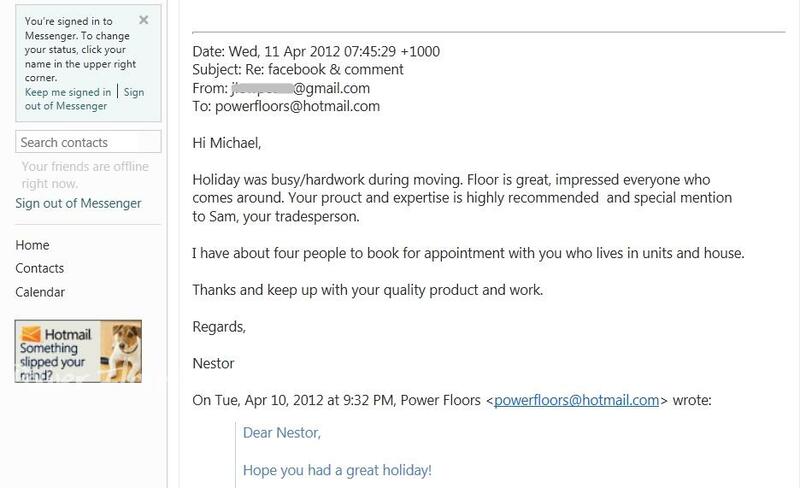 The level of service we received from PowerFloors was outstanding. They were quick, efficient, well priced and worked to time frame. Their follow up service has been excellent, even after the bill was paid. They truly have given us a very stress less experience. We are delighted with the finished product. 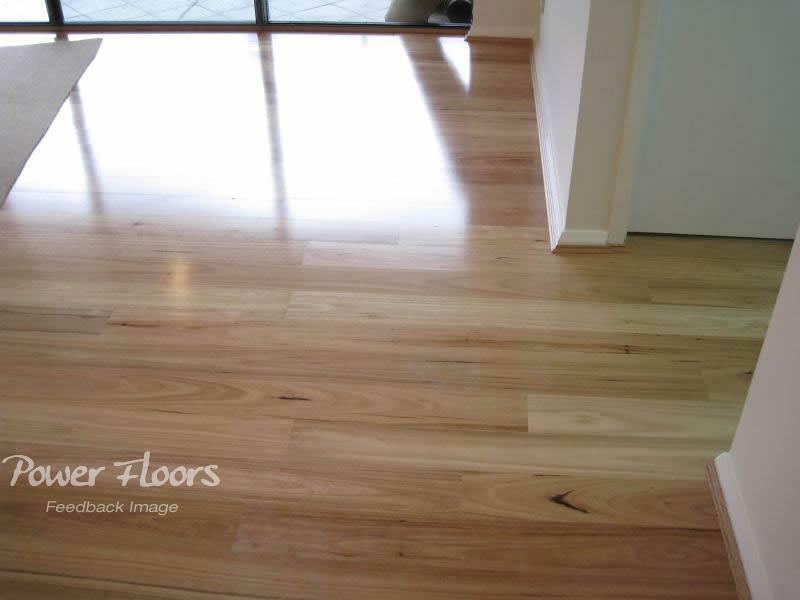 We recommend PowerFloors to anyone looking at timber floors. The finished product looks fabulous and represents a thoroughly professional approach. 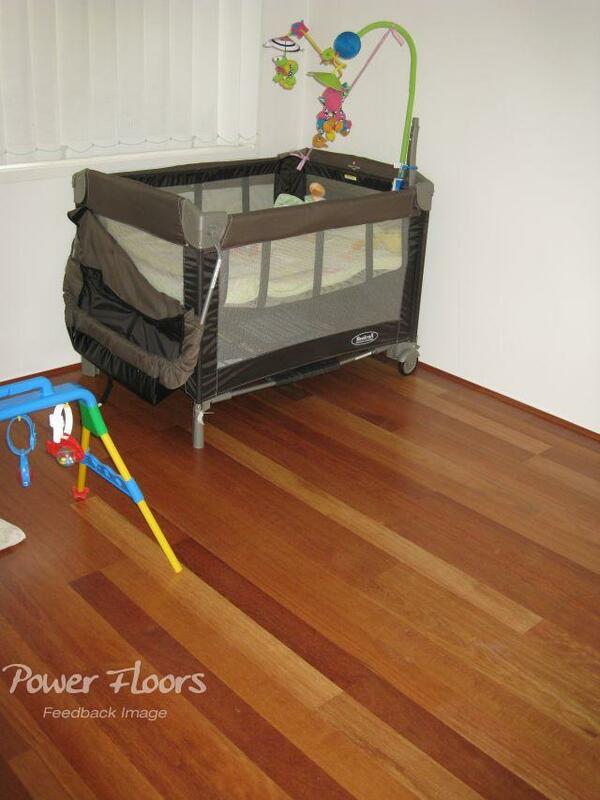 We most certainly endorse PowerFloors' product and service.